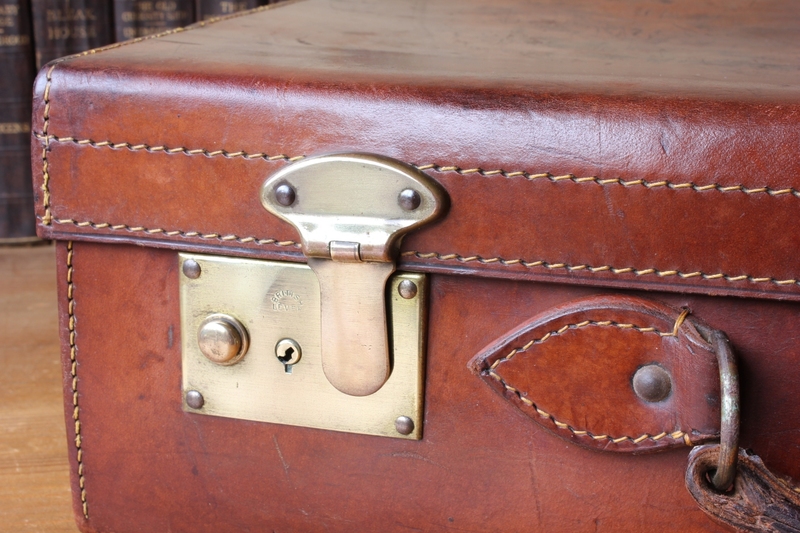 Cowhide Brown Leather Suitcase. 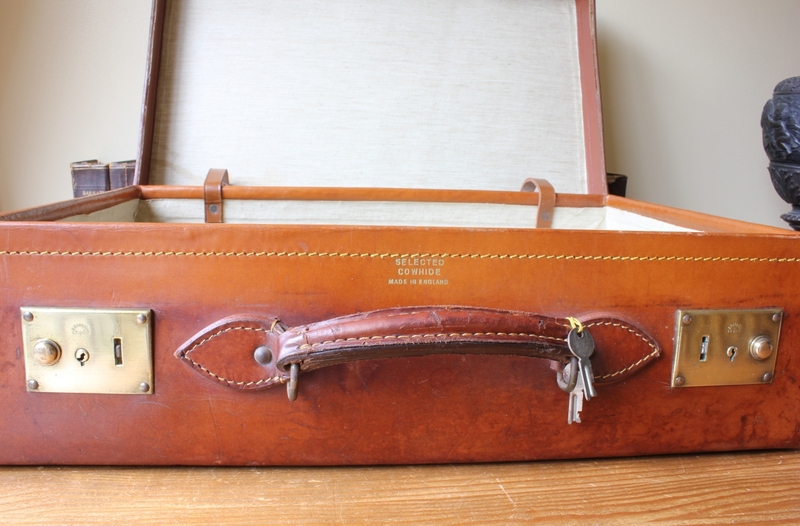 Old Vintage Travel Trunk Case. c1930. 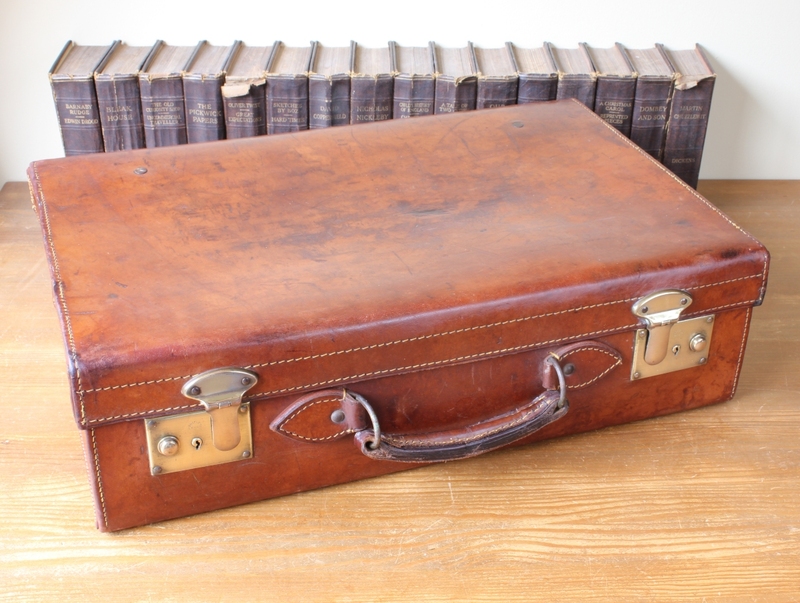 This gorgeous leather suitcase is extremely well made, strong and durable being made from high quality selected cowhide leather. 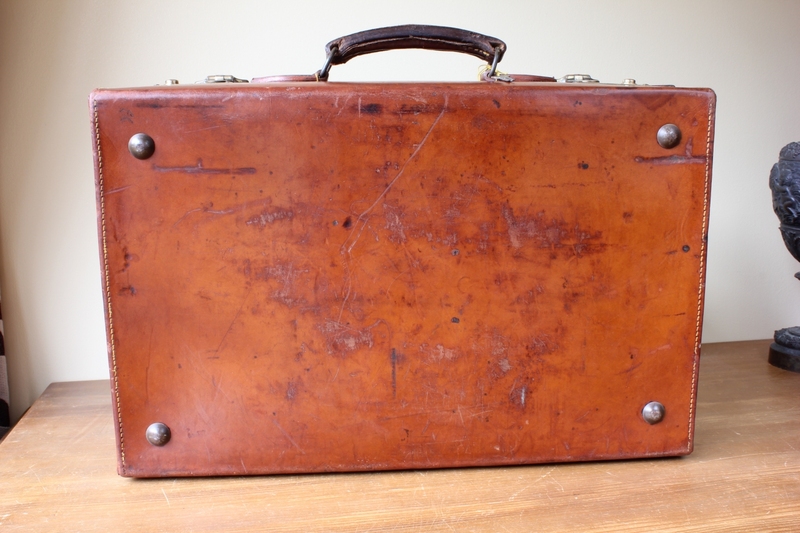 The size of the case is excellent with a good depth of 16 cm, length of 56 cm and width of 36 cm. 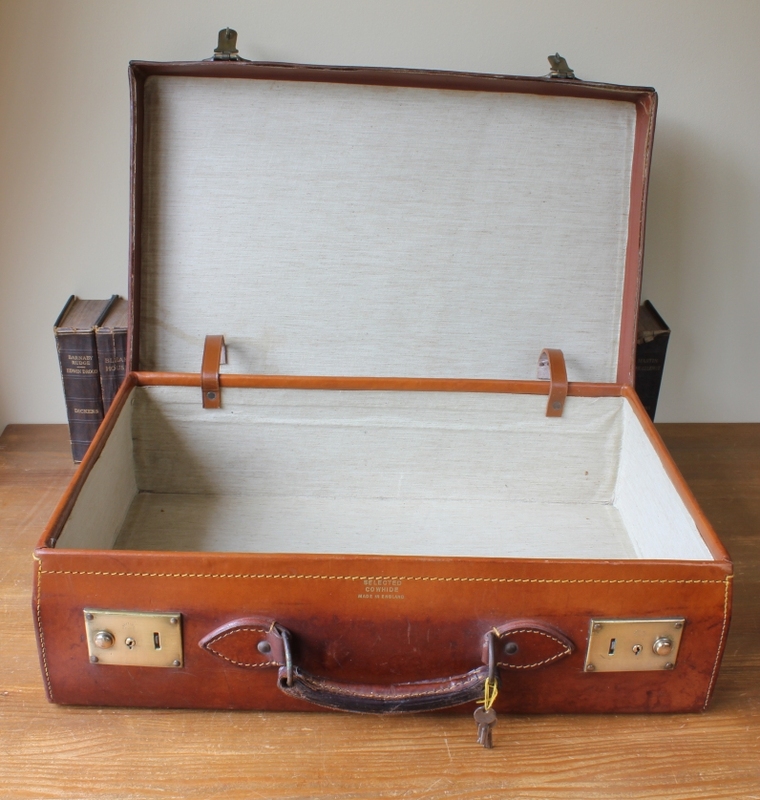 A very usable case but also ideal for home decor, shop display or photography / film prop as it is so beautiful. 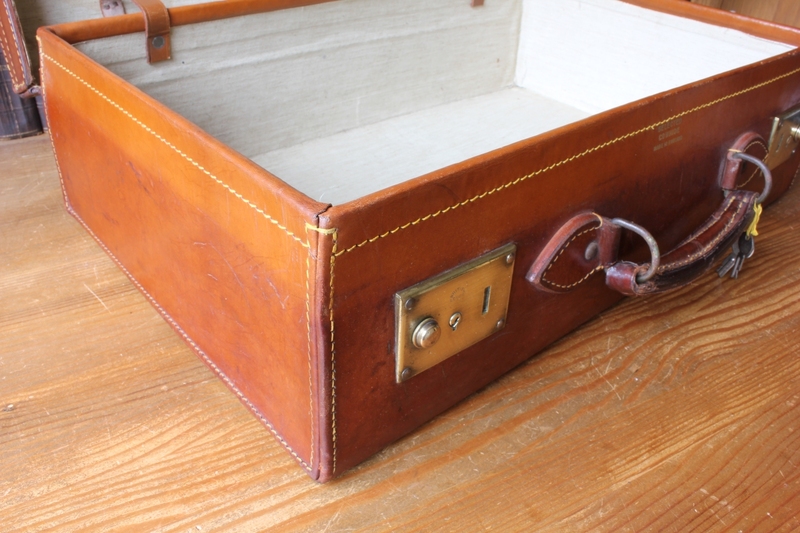 The leather has a wonderful aged look with a warm patina and a golden rich colour. It is marked 'Selected Cowhide. Made in England' to the front under the lid. Both locks are stamped 'British Lever' and work as they should. The interior lining is in super condition and looks almost new. It also comes complete with the original keys. Dates from the early 20th century. c1930. Condition: Beautiful used antique condition with a wonderful patina and warm rich colour. Age related wear with scuffs and scrapes. The case is very sound and usable. The interior is in super condition with just a minimum of staining. Some surface cracking to the leather on handle. Both locks work as they should. Comes complete with the 2 original keys.